March 21, 2016  Indian Wells CEO Raymond Moore says his comments about female tennis players were in "poor taste and erroneous." 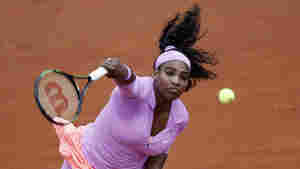 Among those displeased: Serena Williams. September 13, 2015  After a long weather delay, and in front of a crowd cheering for his opponent, the World No. 1 took home the U.S. Open title. It's his 10th career major, and his third this year. July 12, 2015  The Serbian bested his Swiss rival 7-6, 6-7, 6-4, 6-3. It was the 40th time the two men had met on the court. July 6, 2014  Djokovic won the Grand Slam men's singles final in five sets: 6-7, 6-4, 7-6, 5-7, 6-4. September 9, 2013  After four grueling sets No. 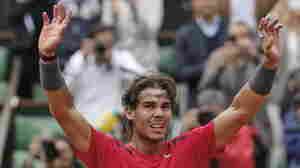 2 Rafael Nadal defeated No. 1 Novak Djokovik to win the U.S. Open men's singles title 6-2, 3-6, 6-4, 6-1. July 7, 2013  Andy Murray broke Britain's more than seven decade men's title drought Sunday, beating top seed Novak Djokovic in straight sets. July 5, 2013  Top seed Novak Djokovic is through to the men's singles final at Wimbledon after beating Juan Martin del Potro in an epic semifinal match. Andy Murray stands in Djokovic's way, making the finals for the second year in a row. Murray lost the 2012 Championship final to Roger Federer. 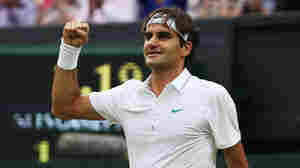 July 6, 2012  Roger Federer beat defending champion Novak Djokovic to advance to Sunday's championship. He'll face the winner of today's semifinal between Andy Murray and Jo-Wilfried Tsonga. June 11, 2012  The Spanish superstar had been tied with Sweden's Bjorn Borg for the most French wins. He's also now won 11 Grand Slam titles. Serbia's Novak Djokovic was trying for his fourth straight major tournament title, but came up short.